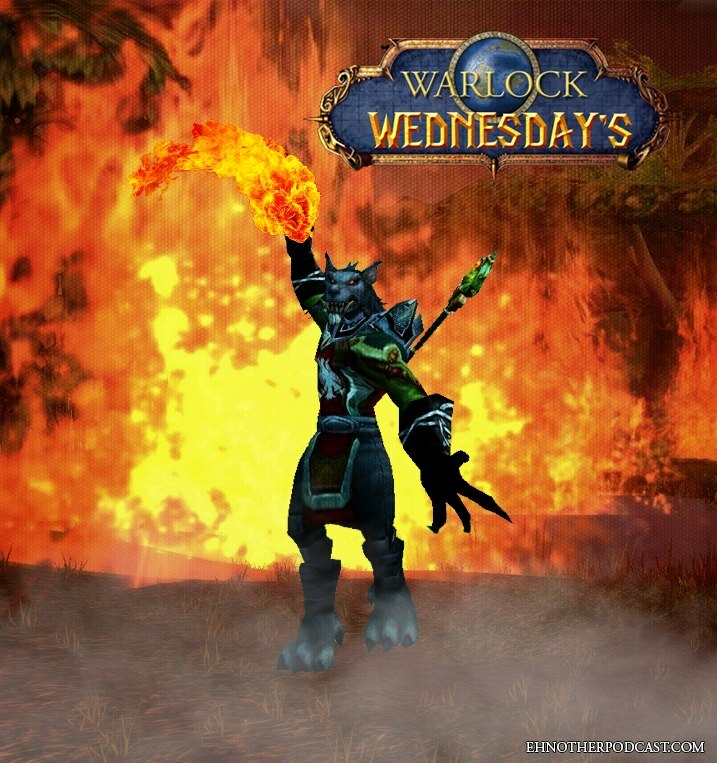 Warlock Wednesday’s Episode 81 … Feeling Alright! In this week’s show we have a lot of rumours, spoilers and even some casting news. Also, I talk about the Tracy Morgan traffic collision from a couple of weeks ago. There is news here from the Bourne franchise to the Star Wars franchise to the Batman and Superman movie, World’s Finest as I am calling it, to a couple of the Marvel movies. Some fun news about what might have been in the world of Super Hero movies. Also, be sure to check below to some of the links I talk about in this week’s show. In sports, the Washington Redskins may actually now be forced into changing their name, or risk financial stress. NFL News round up and the “Winners and Losers” of the NFL Minicamp season. NHL has awarded their best players with the 2014 NHL Awards and of course we have your MLB update. Also, in this weeks show it is just before a WWE Pay-Per-View, so I predict the 4… that’s right only 4… matches that are currently announced for WWE Money in the Bank. Hope you enjoy the show, and see you next week! This entry was posted in Warlock Wednesdays and tagged 11 Superhero movies that ALMOST Happened, 2014 NHL Awards, 2014 NHL Draft, 2014 NHL Entry Draft, 22 Jump Street, 24 #3, Aaron Cross, Adam Levine, Alberto Del Rio, Alex Ovechkin, Amazing Spider-Man 3, Andrew Ference, ant-man, Art Ross Trophy, Avengers: Age of Ultron, Avi Lerner, Bad News Barrett, baseball, Batman #32, Batman '66 #12, Batman Stand Alone Film, Batman v Superman, Begin Again, Ben Affleck, Ben-Hur, Beverly Hills Cop 4, Bill Masterson Trophy, Bob Murray, Bourne 5, Box Office Reports, Bray Wyatt, breaking news, Brett Ratner, Bruce Wayne's Pad, Calder Trophy, casting news, Catowman #32, Cee Lo Green, Cesaro, Chris Evans, Clint Eastwood, comics, Cover Vote, Crybaby Crosby, Daniel Bryan, Daredevil, Dark Horse Comics, DC Comics, Deadpool vs. Carnage #4, Dean Ambrose, Disney, Dolph Ziggler, Dominic Moore, Duncan Keith, Dustin Brown, Dynamite Entertainment, EA Sports, EA Sports Cover Vote, Ed Harris, Eddie Murphy, El Mayimbe, England's House of Parliment, entertainment, entertainment news, Eric Rowan, Flash Gordon #3, Football, Frank Selkey Trophy, G.I. Joe 3, General Manager of the Year, Ghostbusters #17, Hailee Steinfeld, Hall H, Hansel and Gretel: Witch Hunters 2, Hart Trophy, hockey, How to Train Your Dragon 2, IDW Publishing, Jack Adams Award, Jack Swagger, James Gunn, Jamie Bell, Jason Bourne, Jermey Renner, jersey boys, Jo Blo, JoBlo Movies, Joe Macdonald Youth Football, John Cena, John Goodman, John Hurt, Jon Chu, Jon M. Chu, Jonathan Quick, Justice League #31, Kane, Kelsey Grammer, Ken Watanabe, Kevin Roper, Kevin Smith, Kiera Knightley, King Clancy Trophy, Kofi Kingston, Lady Byng Trophy, latino-review.com, Lex Luthor's Motivations, Li Bingbing, Luke Harper, M:I 5, maleficent, Mark Messier Leadership Award, mark ruffalo, Mark Wahlburgh, Mark Waid's The Green Hornet #13, Marky Mark, Marvel, Marvel Studios, Matt Damon, Maurice Richard Trophy, Mission Impossible 5, MLB, Money in the Bank Contract Ladder Match, Movies, Naomi, Nathan Fillion, Nathan MacKinnon, National Transportation Safety Board, Netflix, New Avengers #20, NFL, NFL Around the League, NFL News, NFL News Round up, NHL, NHL 15, NHL Awards, NHL Draft, NHL Foundation Player Award, Nicola Peltz, Night of the Wyatt's, Norris Trophy, NTSB, opinion, Paige, Paramount, Paramount Studios, paranormal activity, Patrice Bergeron, Patrick Roy, Pay Per View, personal views, Peter Cullen, Predator, predictions, Ralph Garman, Rambo 5, Randy Orton, Rian Johnson, Rob Van Damm, Robert Wood Johnson Hospital, Roberto Orci, Roman Reigns, Rosario Dawson, Rumours, RVD, Ryan O'Reilly, San Diego Comic Con 2014, Savage Hulk #1, Serenity Leaves on the Wind #6, seth macfarlane, Seth Rollins, Shane Black, Sheamus, Sidney Crosby, Snowpiercer, Sophia Myles, Splendid Film, Spoilers, sports, standings, Stanley Tucci, Star Trek 3, Star Wars: Episode IX, Star Wars: Episode VIII, statistics, Sudbury Spartans Football, Superman #32, Sylvester Stallone, Ted Lindsay Award, The Batcave, The Batman, The Big Red Monster, The Latino Review, The Usos, the voice, The War Doctor, The Wyatt Family, Think Like a Man Too, Tilda Swinton, Timur Bekmambetov, Tom Cruise, Tracy Morgan, trademark, transformers, Transformers: Age of Extinction, Tuukka Rask, U.S. Patent Office, Umberto Gonzalez, Vezina Trophy, Walmart, Warner Bros., Warner Bros. Studios, Washington Redskins, WB, William Jennings Award, Wolverine #9, Wonder Woman, World Wrestling Entertainment, World's Finest Spoilers, Worlds Finest, WWE, WWE Diva's Championship, WWE Money in the Bank, WWE Money in the Bank Predictions, WWE Tag Team Championship, WWW World Heavyweight Championship Ladder Match, X-Files: Season 10 #13. Bookmark the permalink.